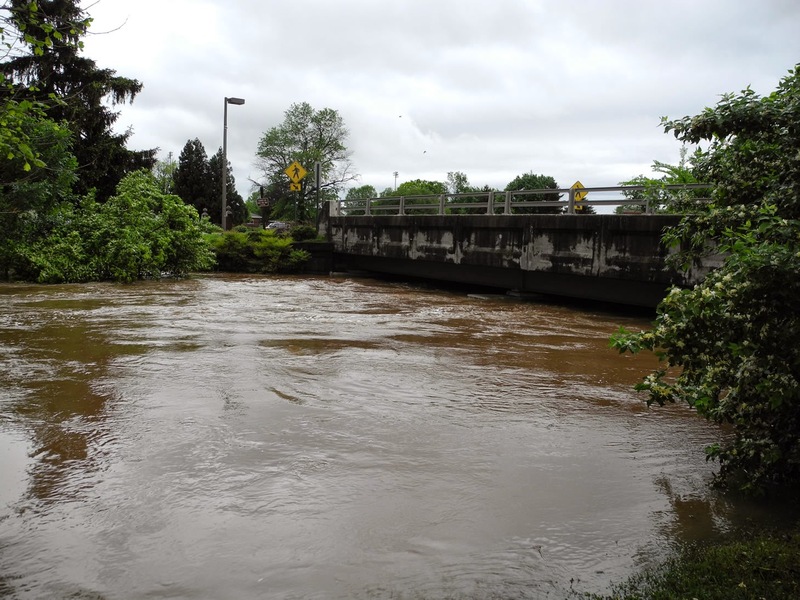 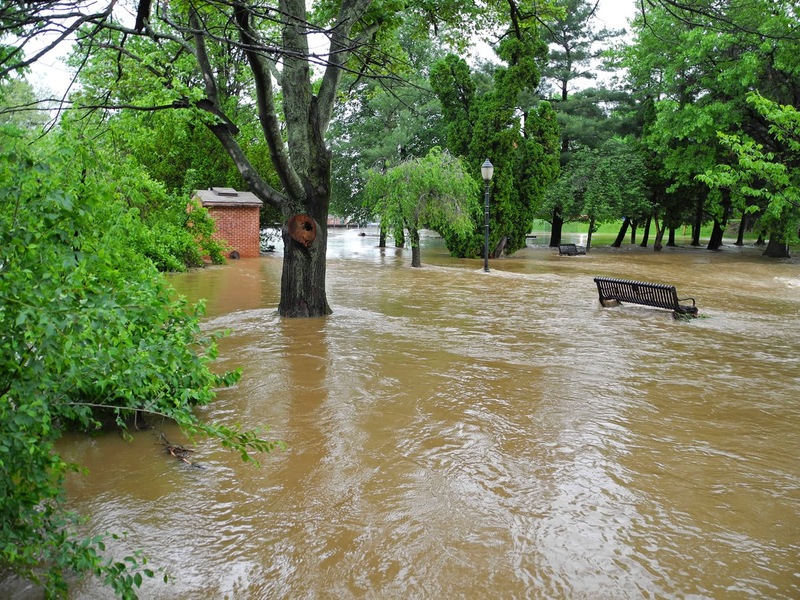 I grew up a block from the Susquehanna River in Sunbury PA and I've always been fascinated by flooding. 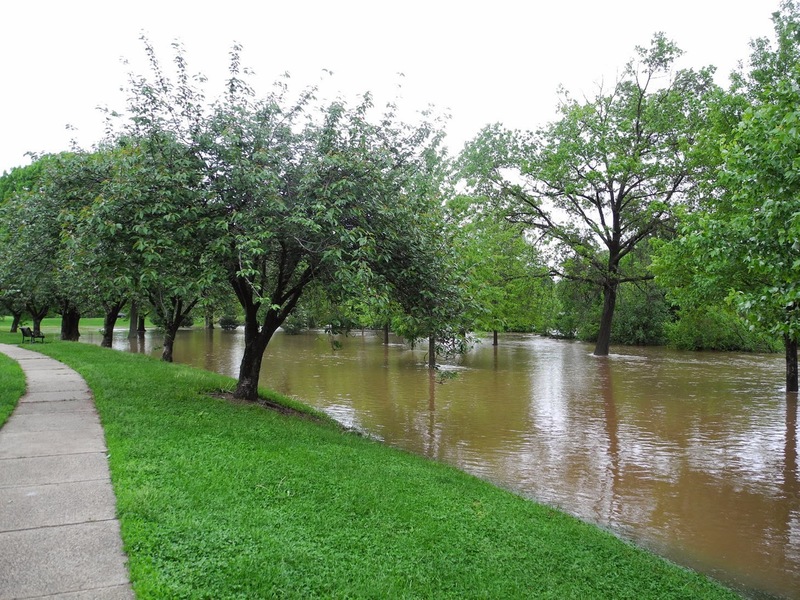 So after all this heavy rain, I dashed over to Baker Park to photograph the creek. 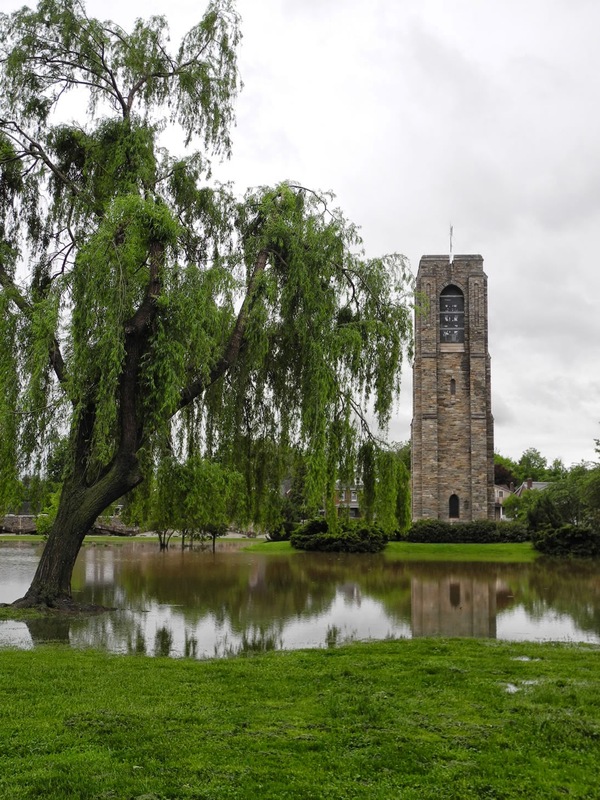 We all love Baker Park for the beautiful landscape, open spaces to walk our families and dogs, place to hold events, picnics, fireworks, sports activities. 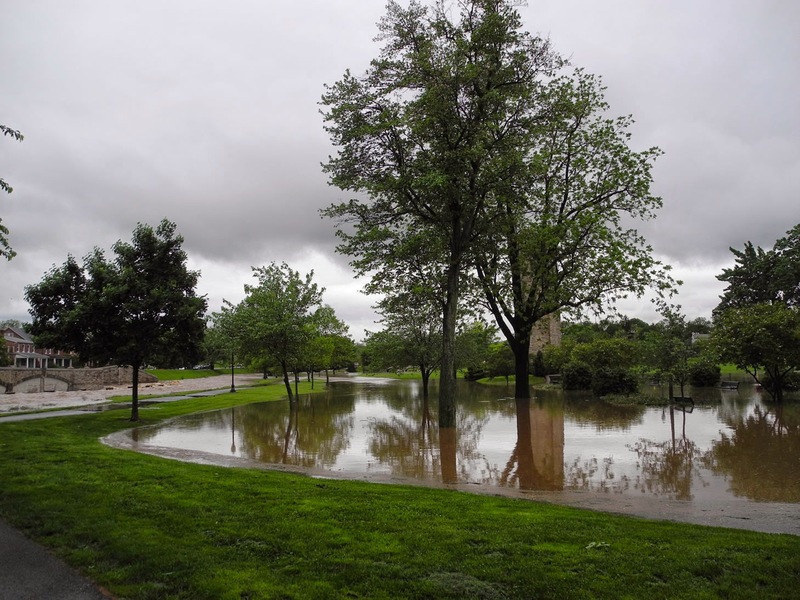 But if you did not know that Baker Park in Frederick has an important job to do for downtown residents, let these photos be a reminder. 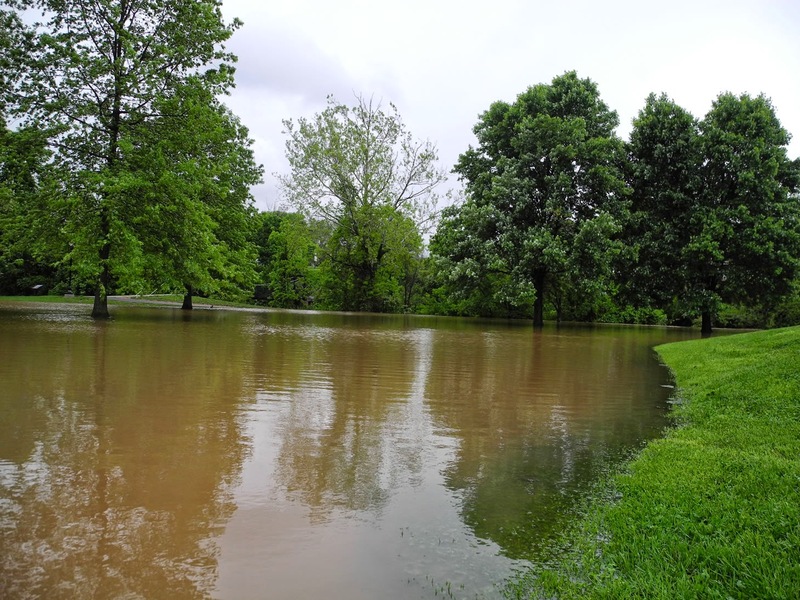 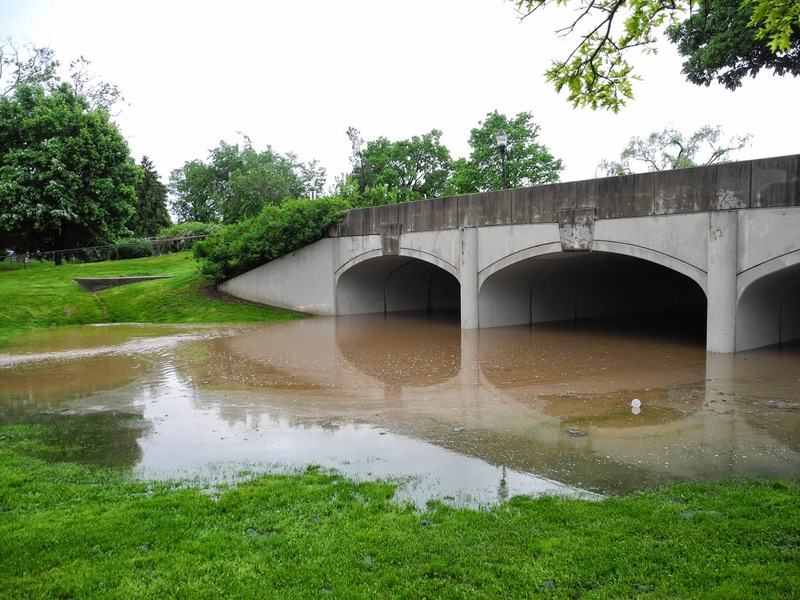 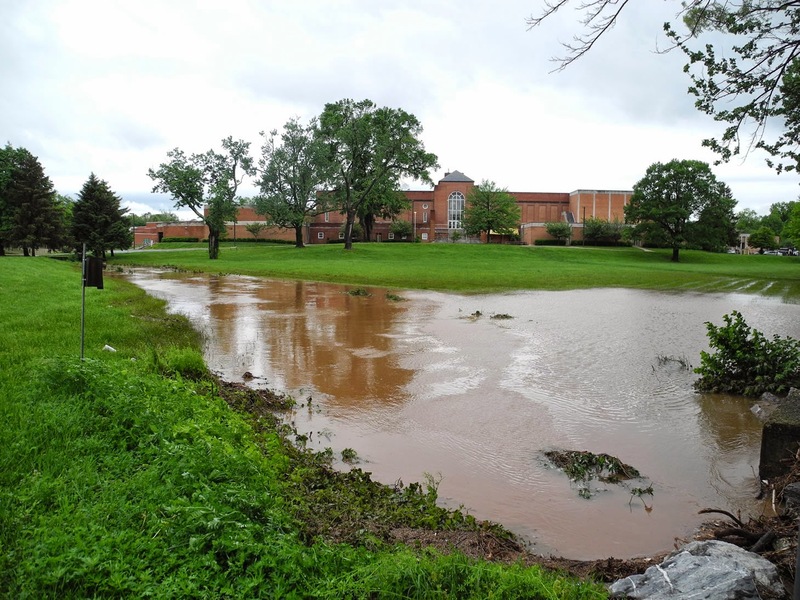 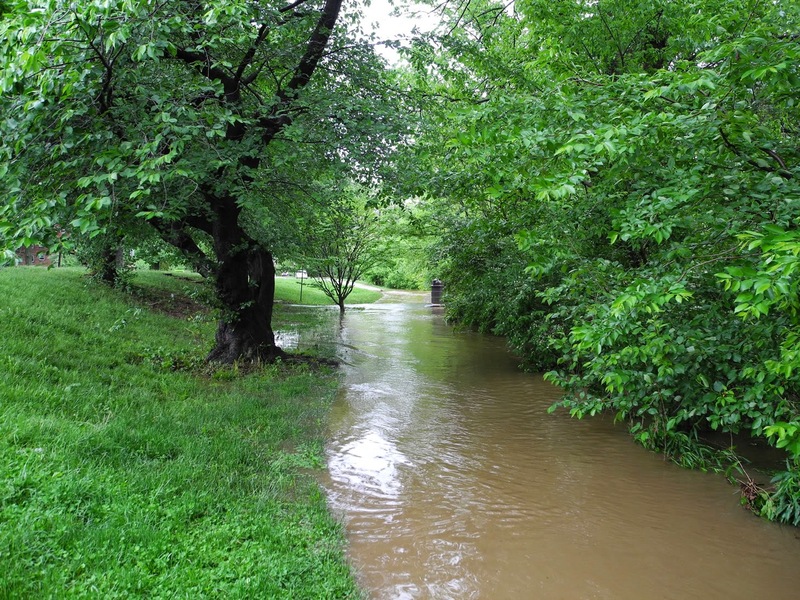 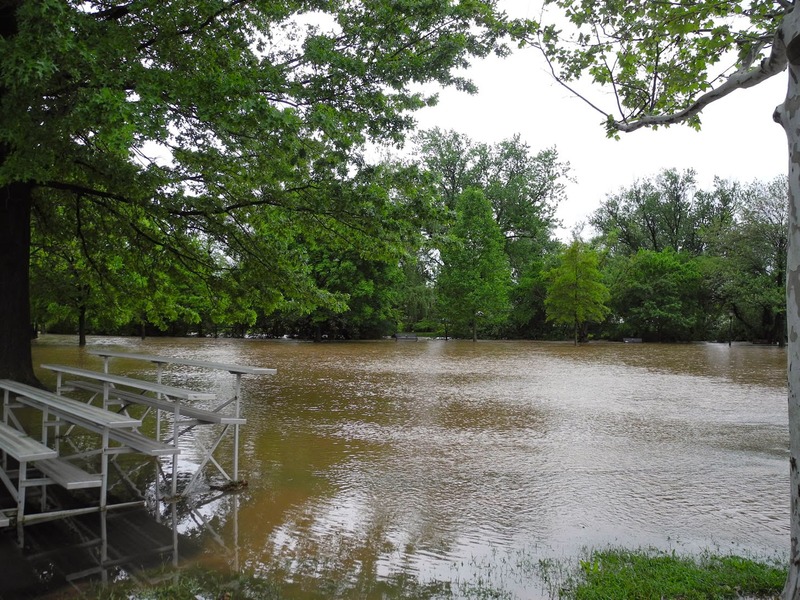 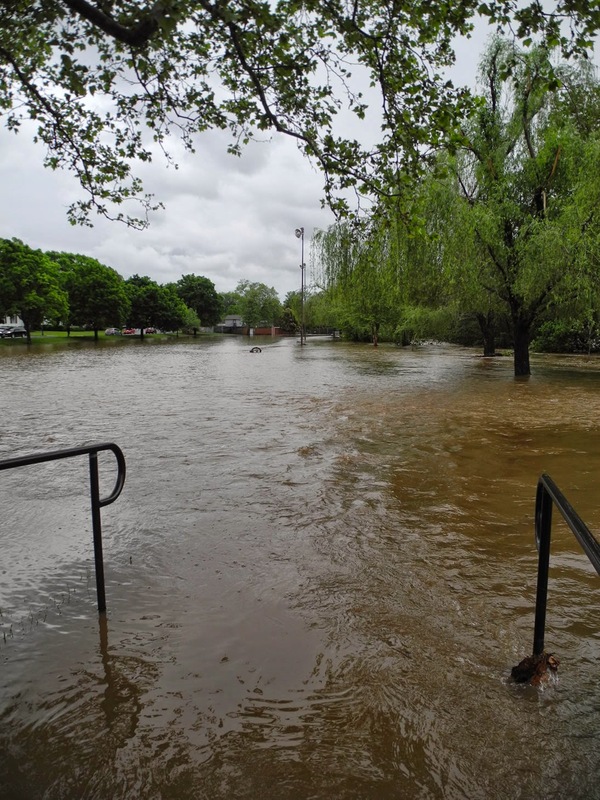 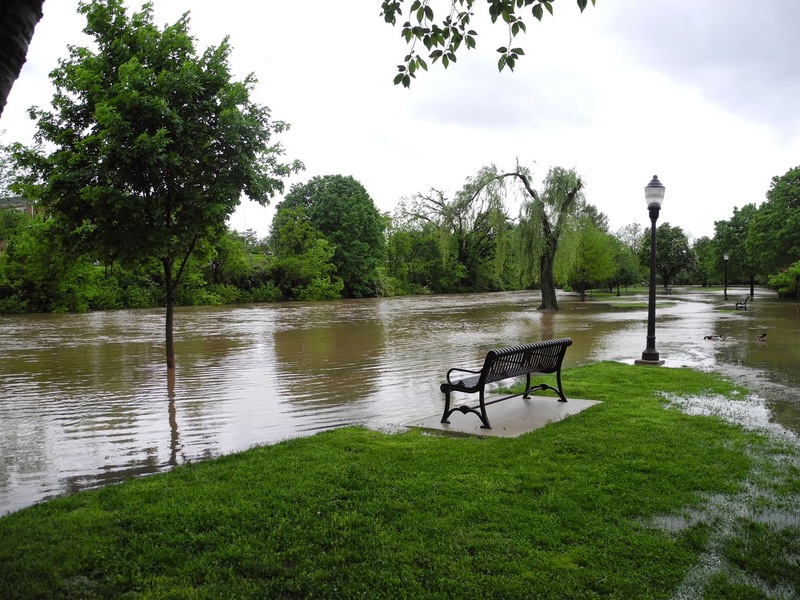 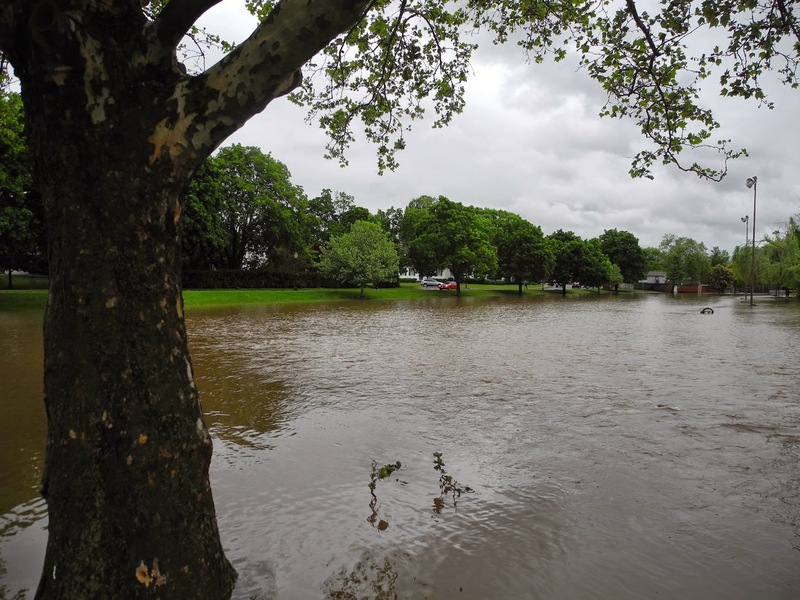 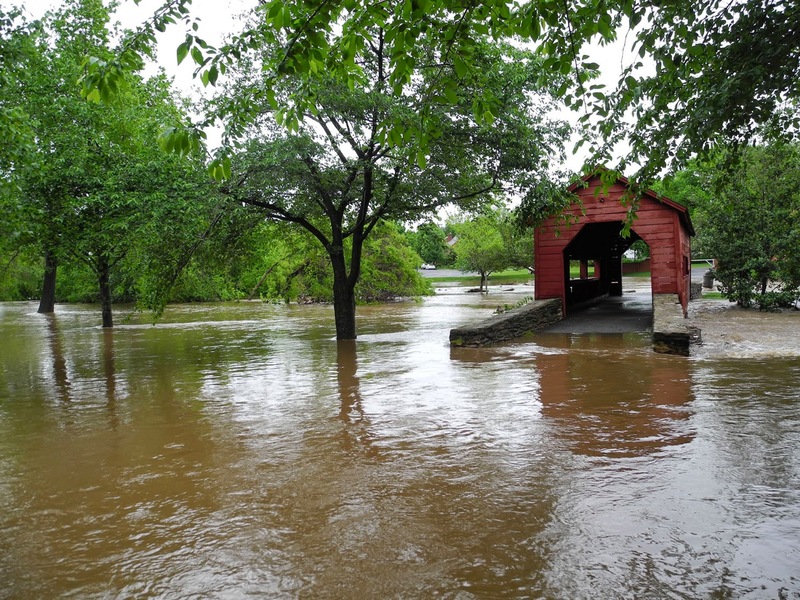 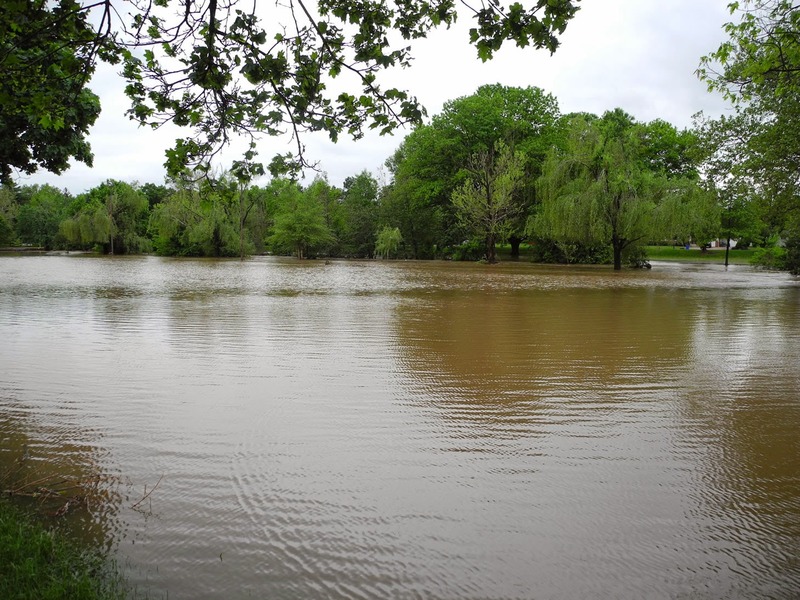 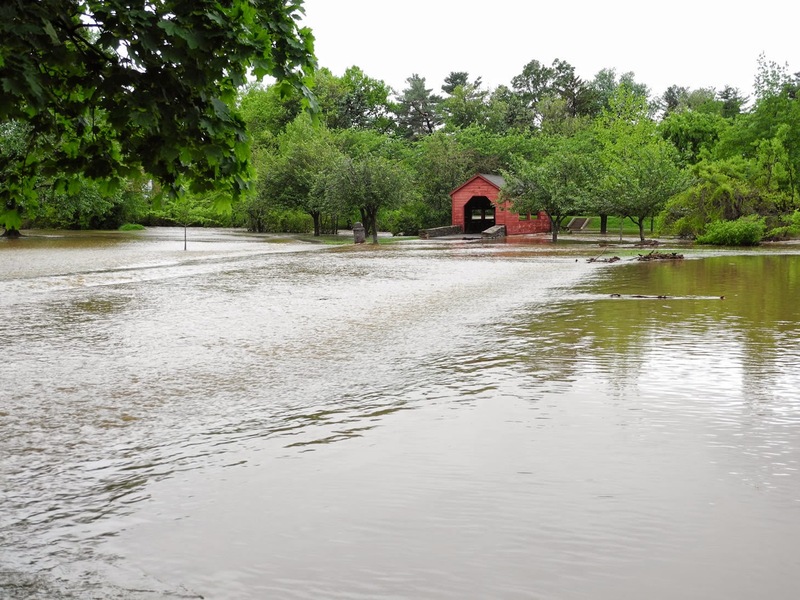 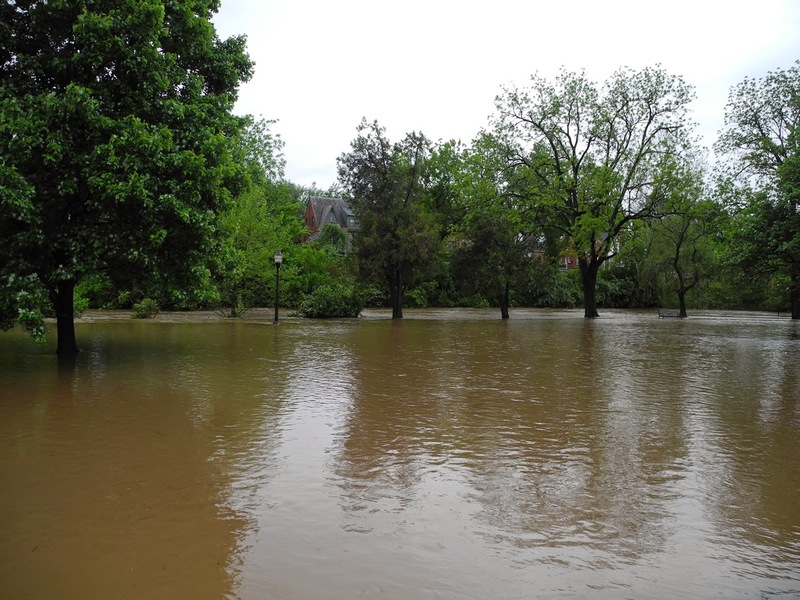 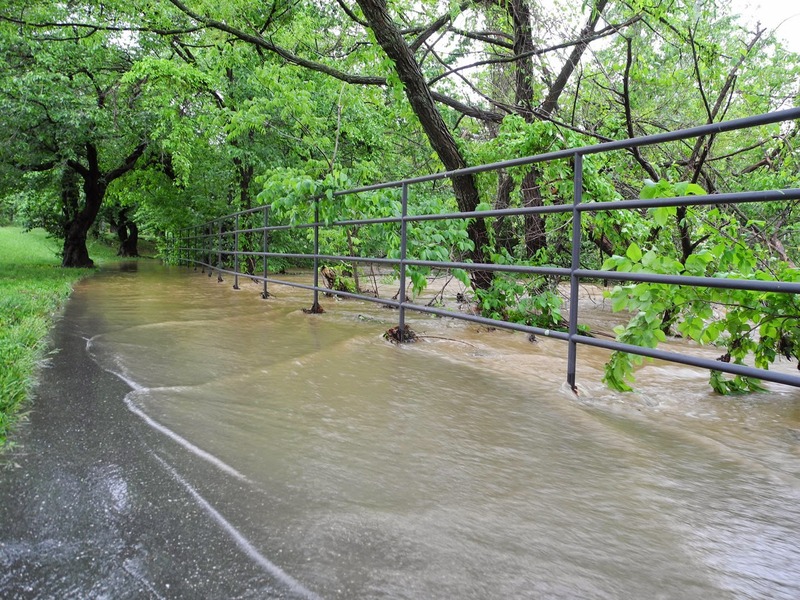 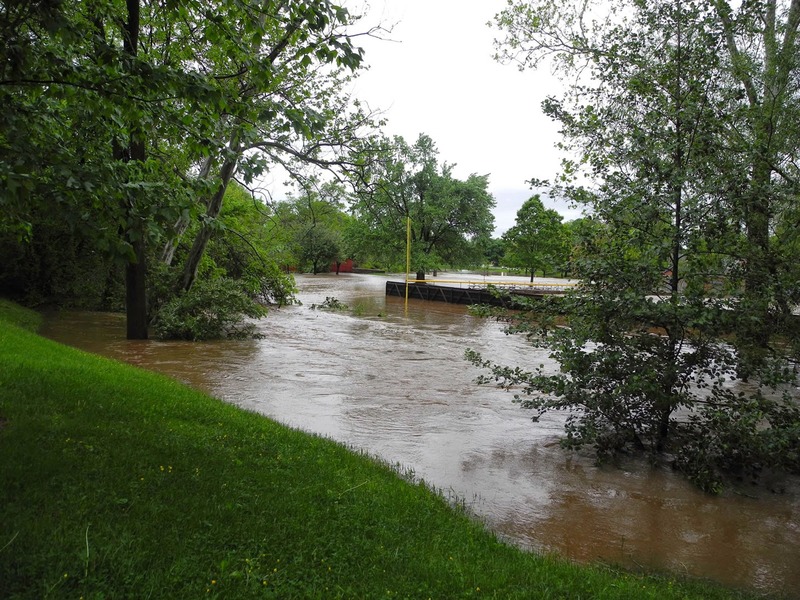 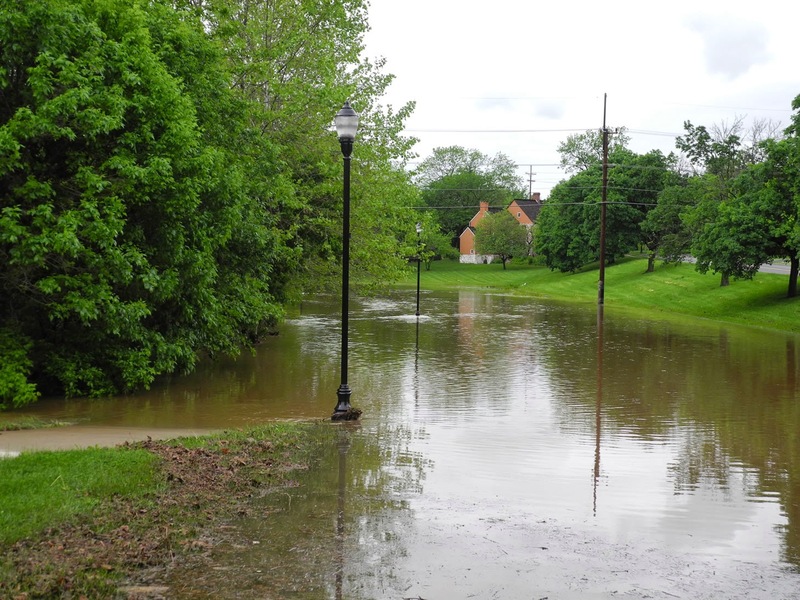 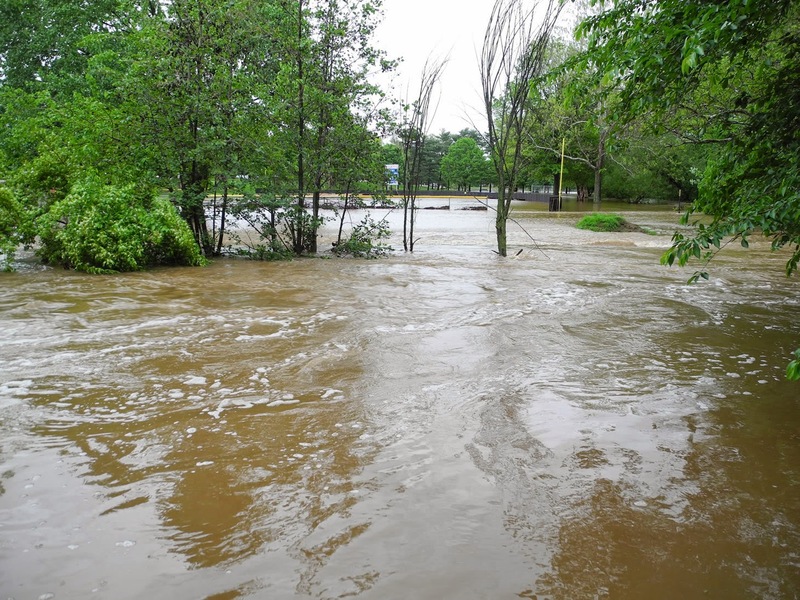 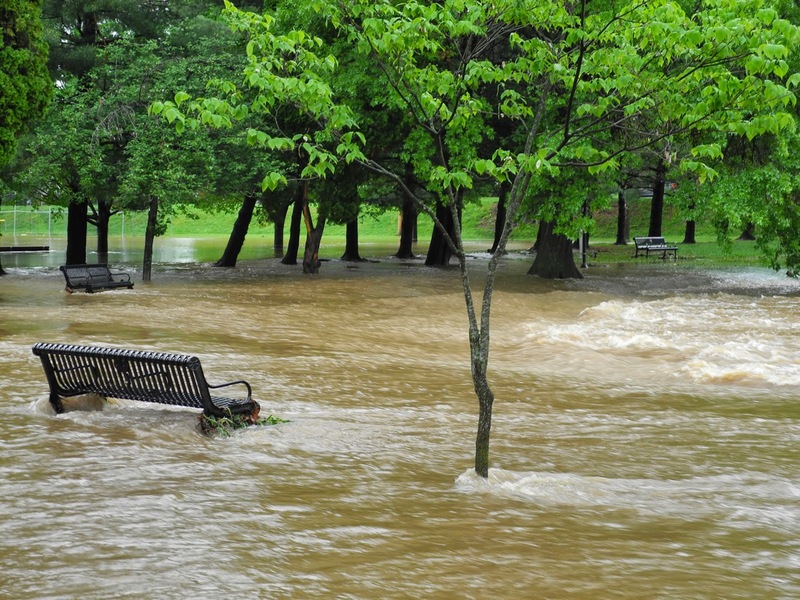 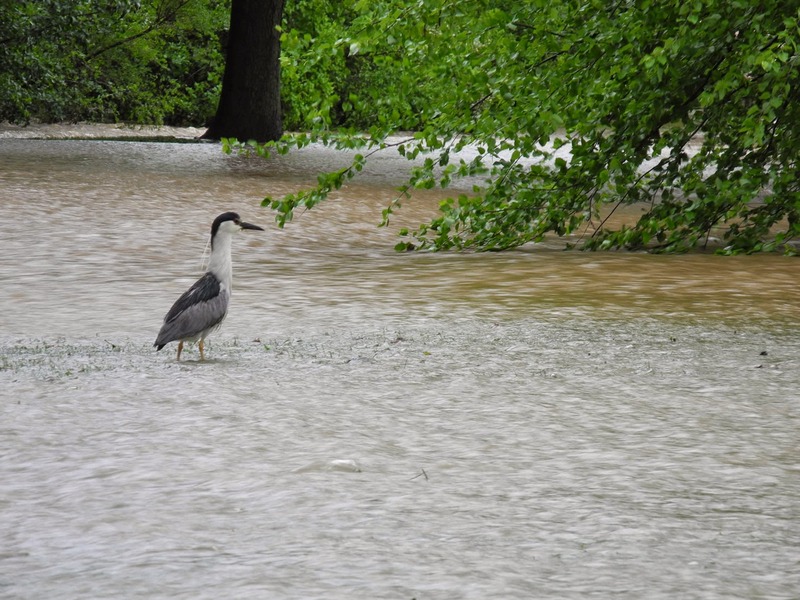 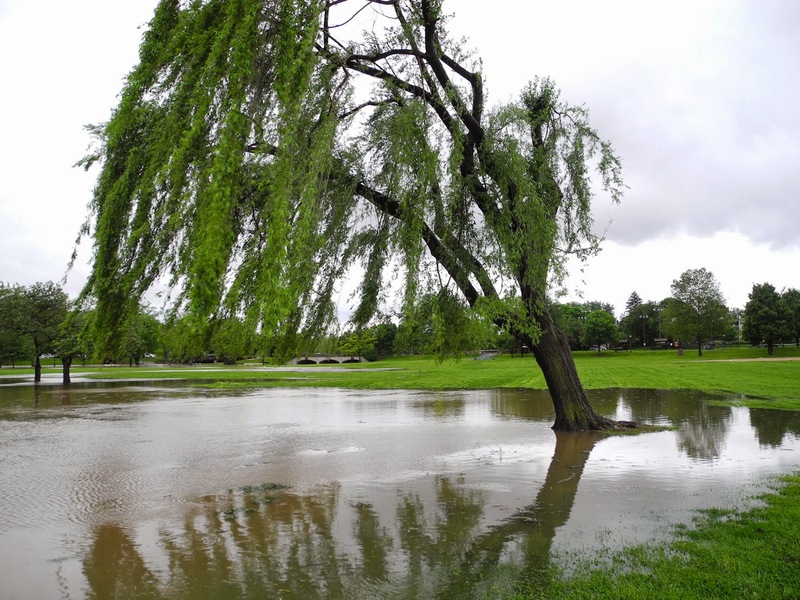 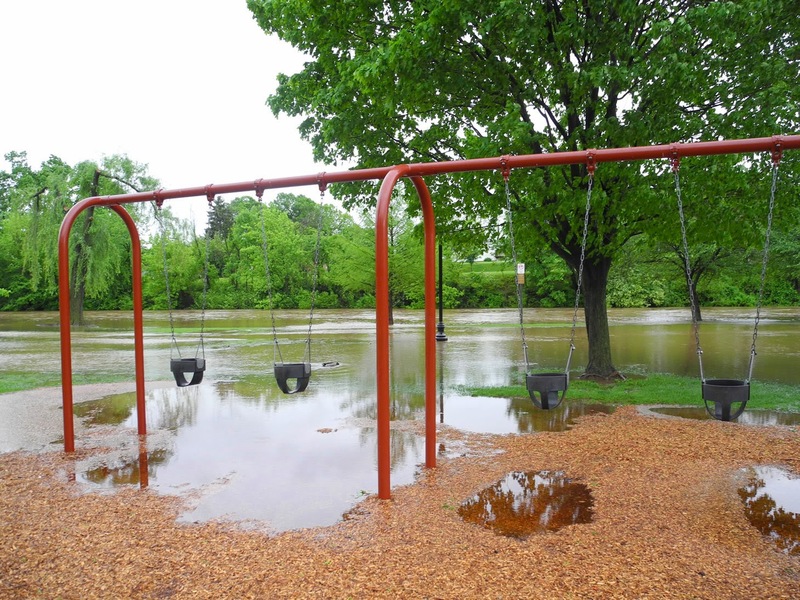 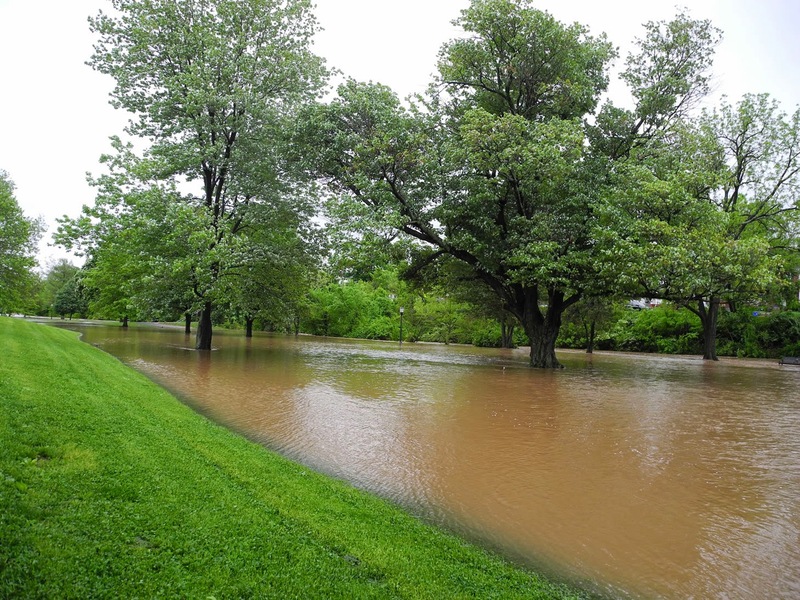 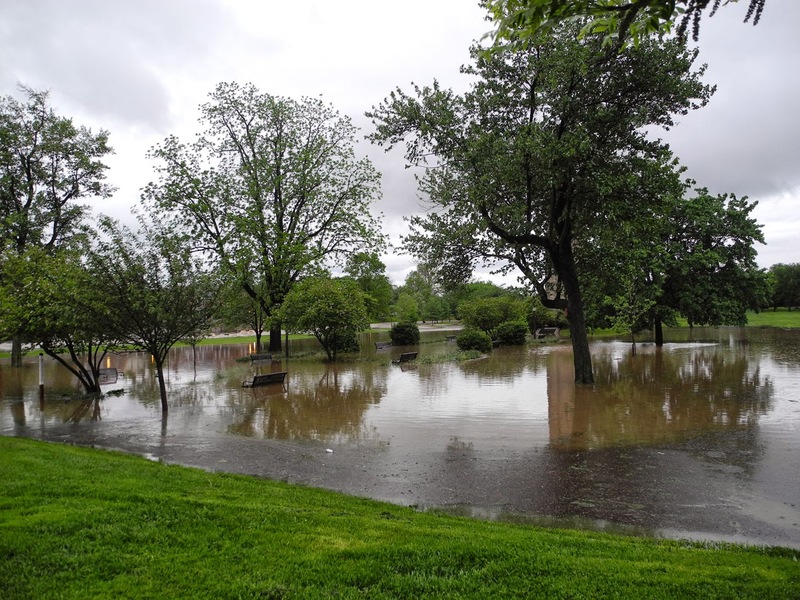 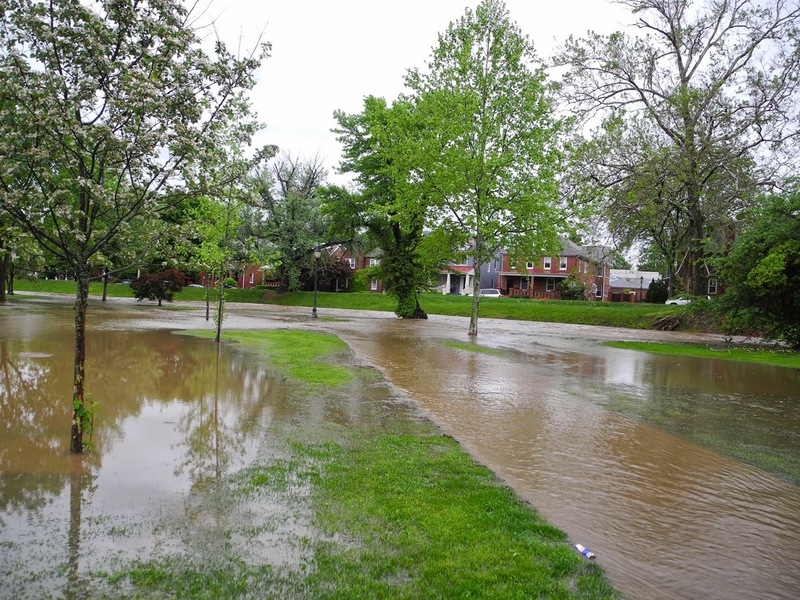 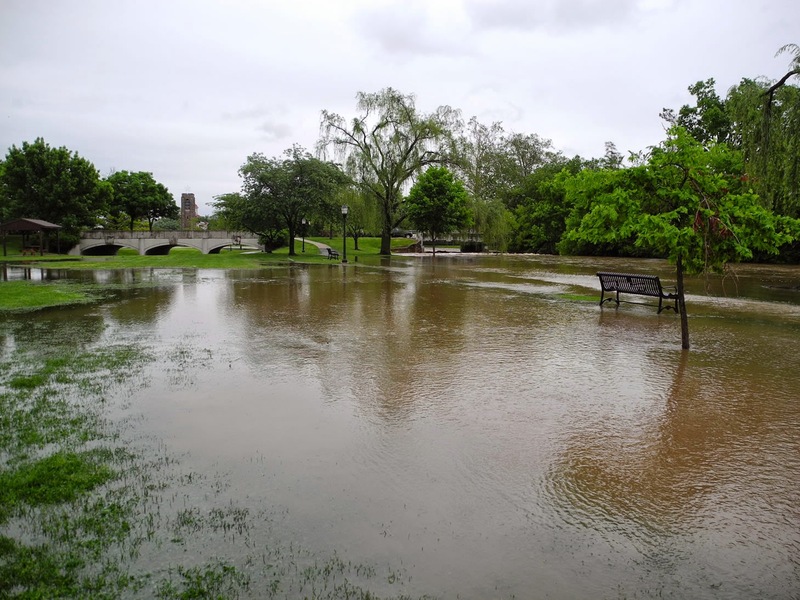 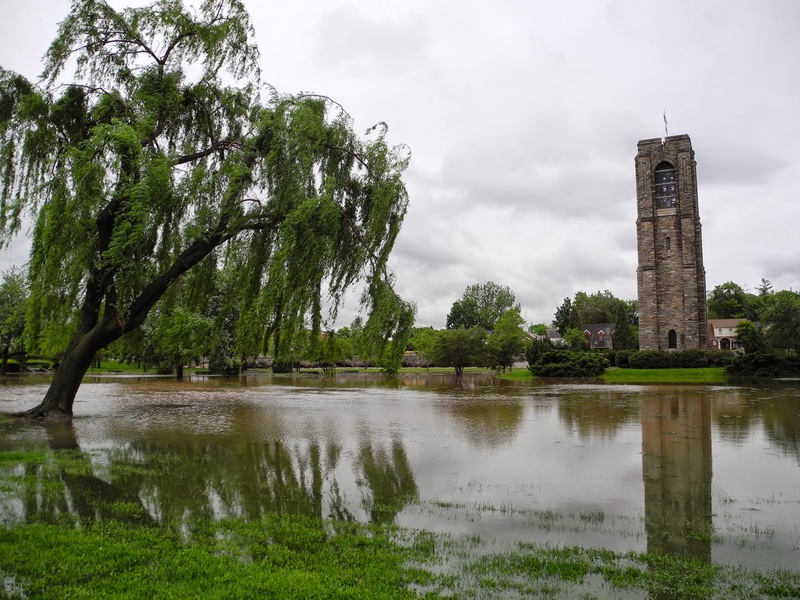 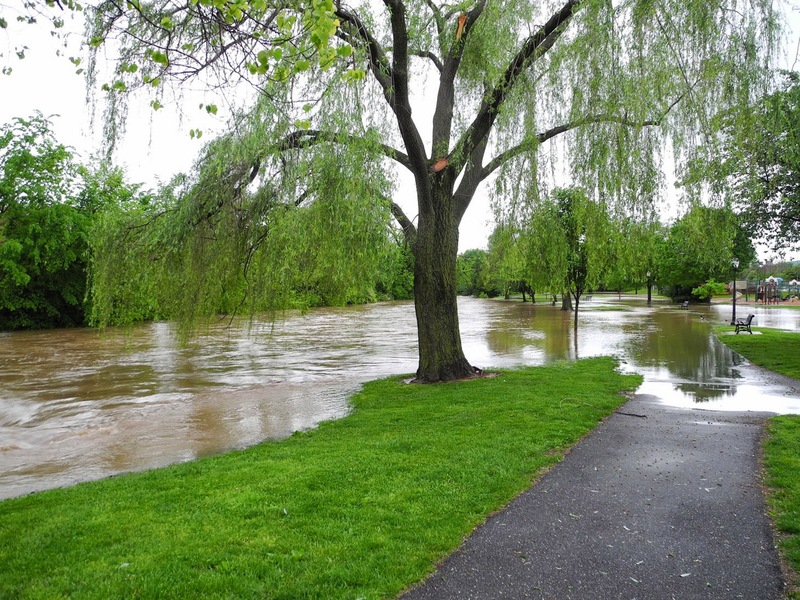 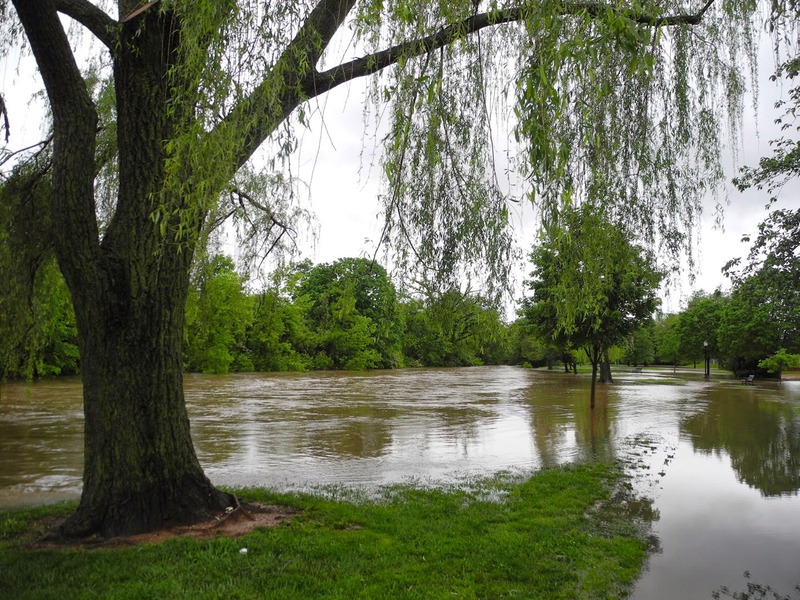 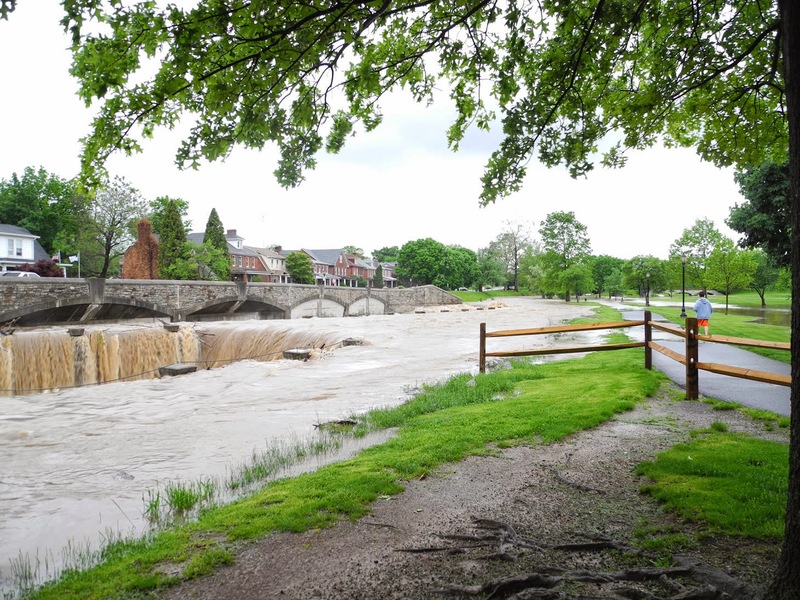 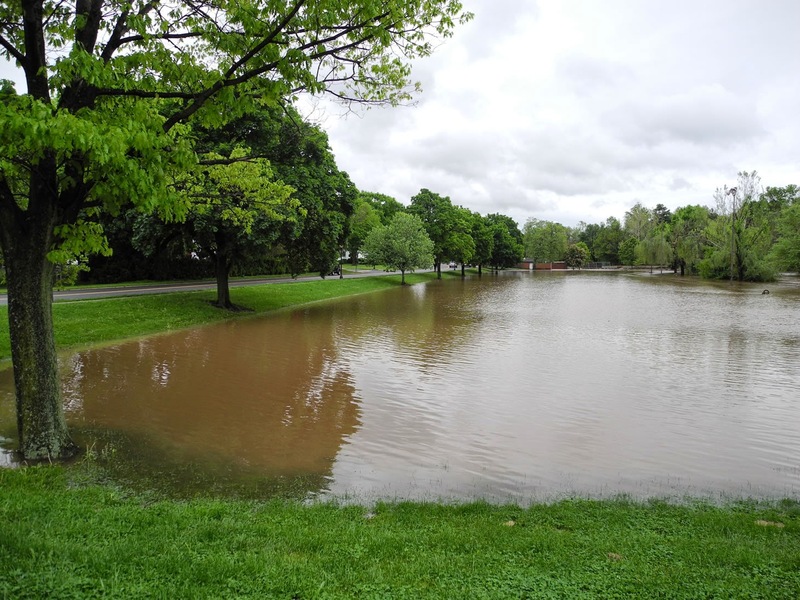 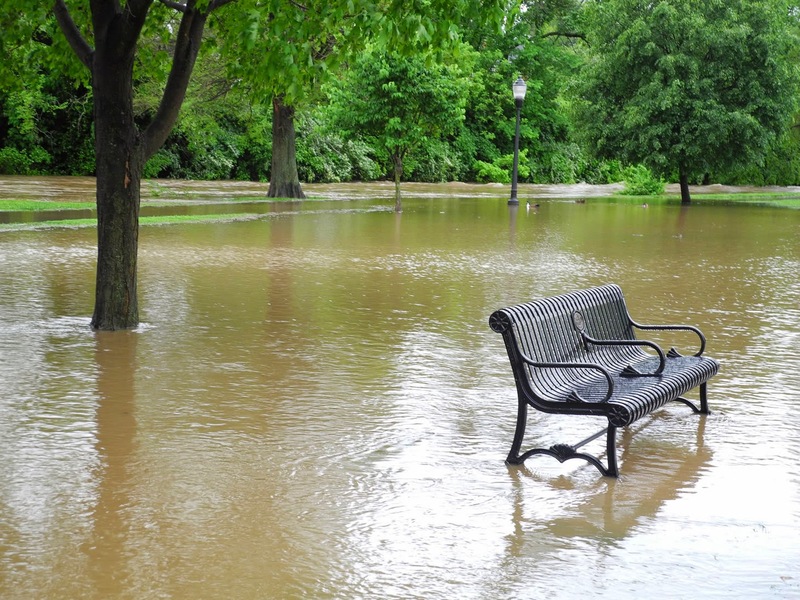 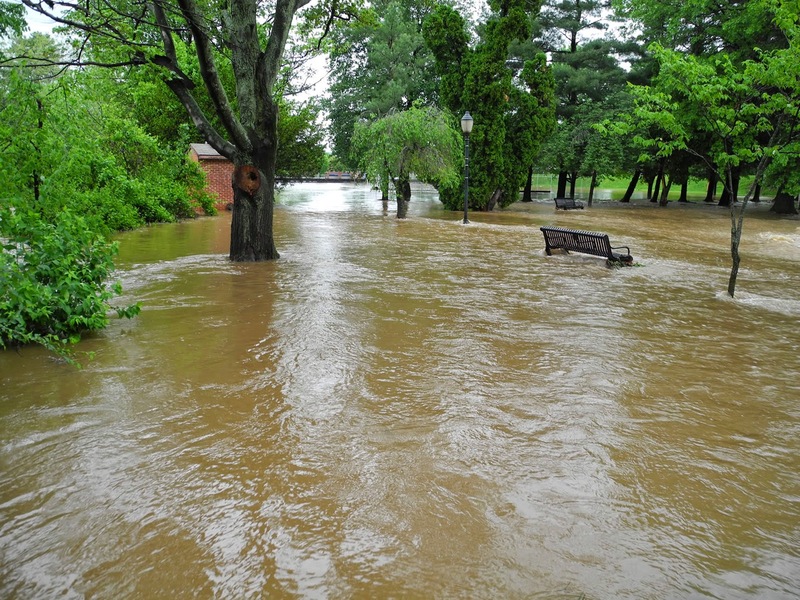 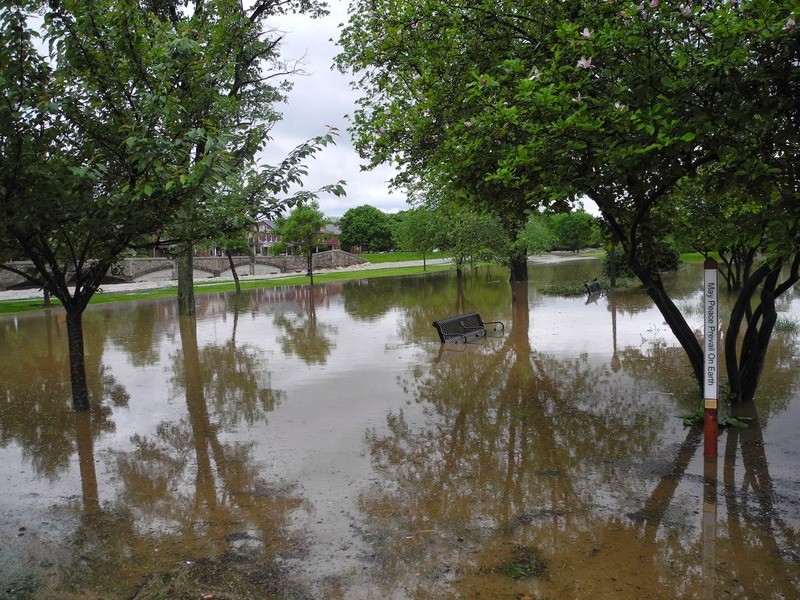 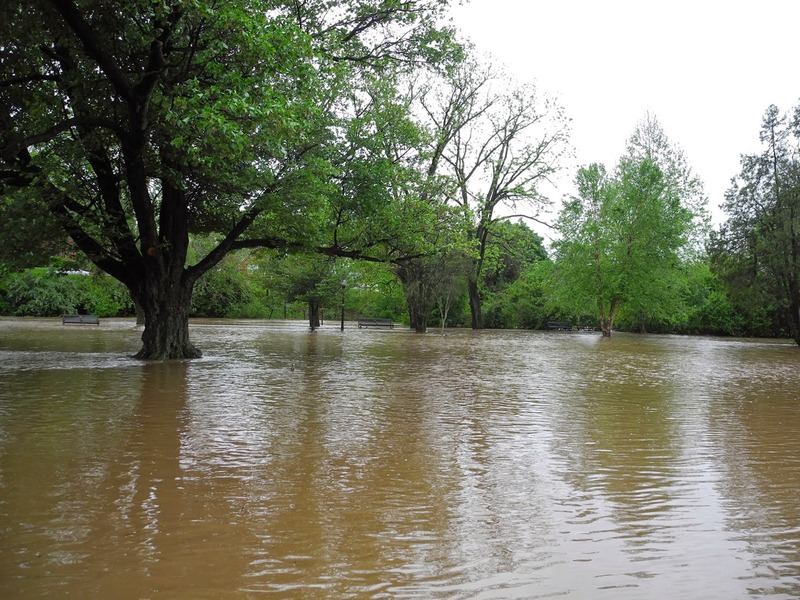 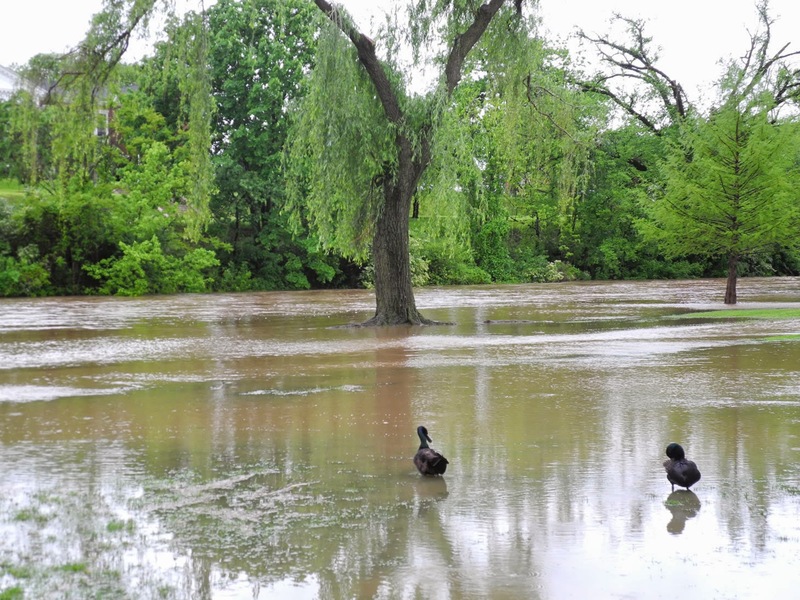 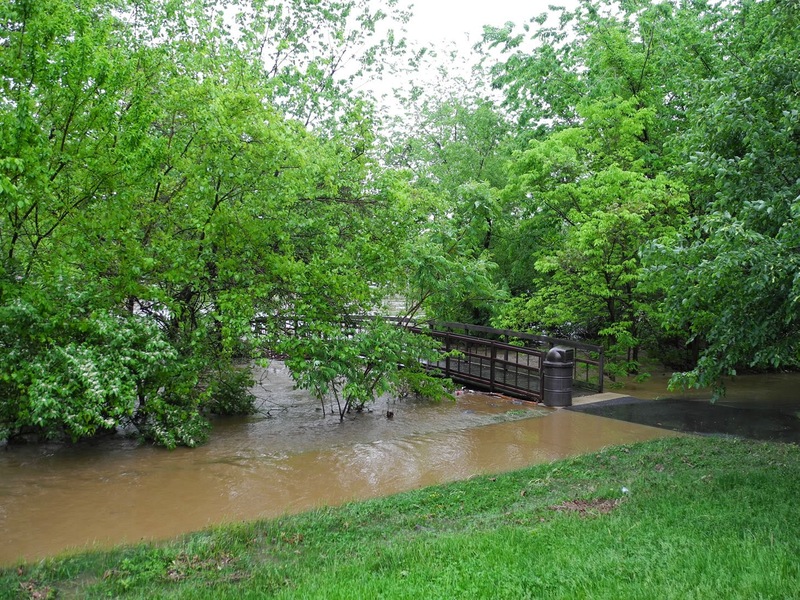 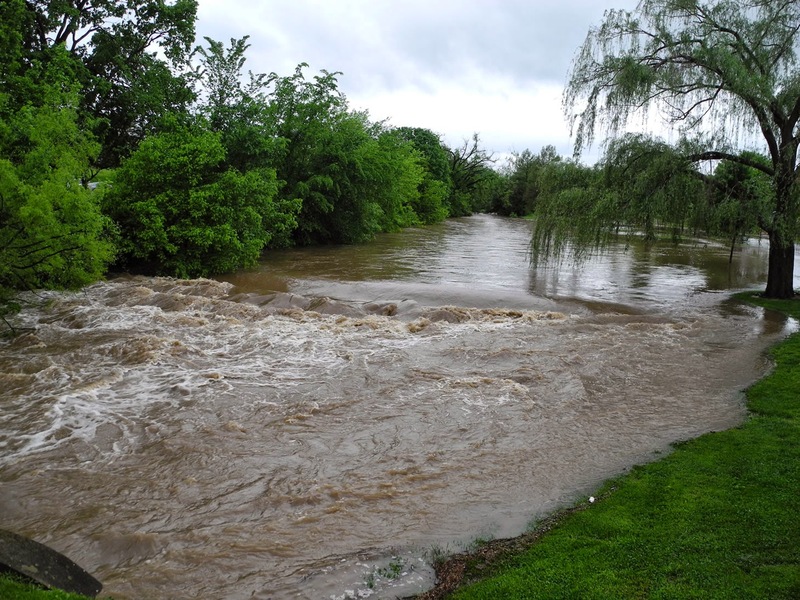 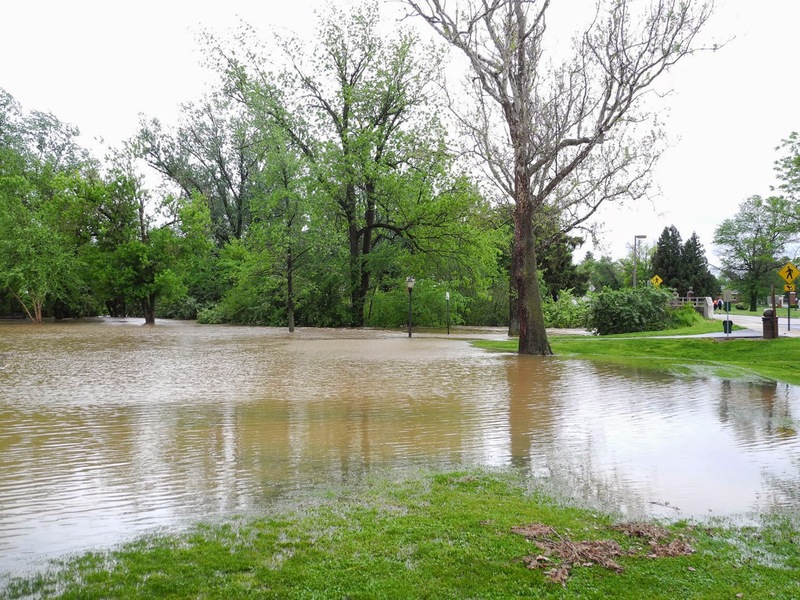 Baker Park is the critically important catch basin for Carroll Creek overflow during storms. 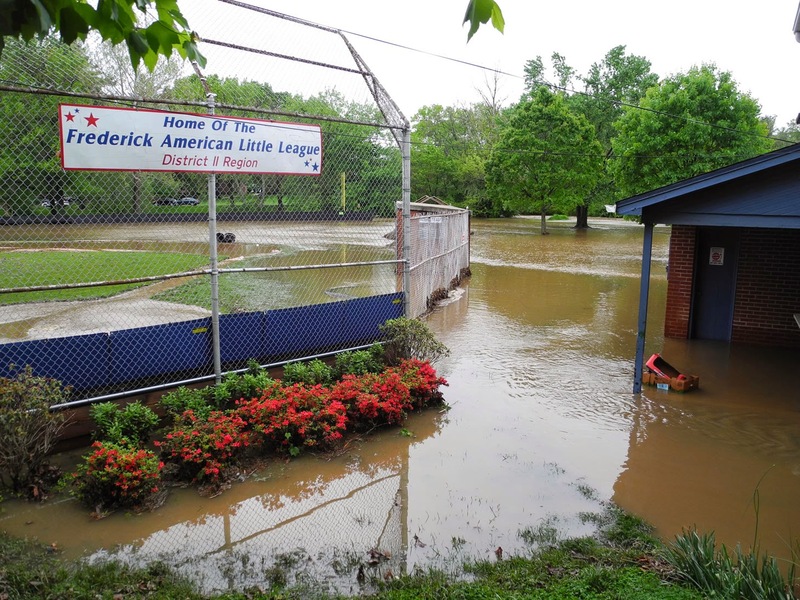 Frederick homes are protected by Baker Park. 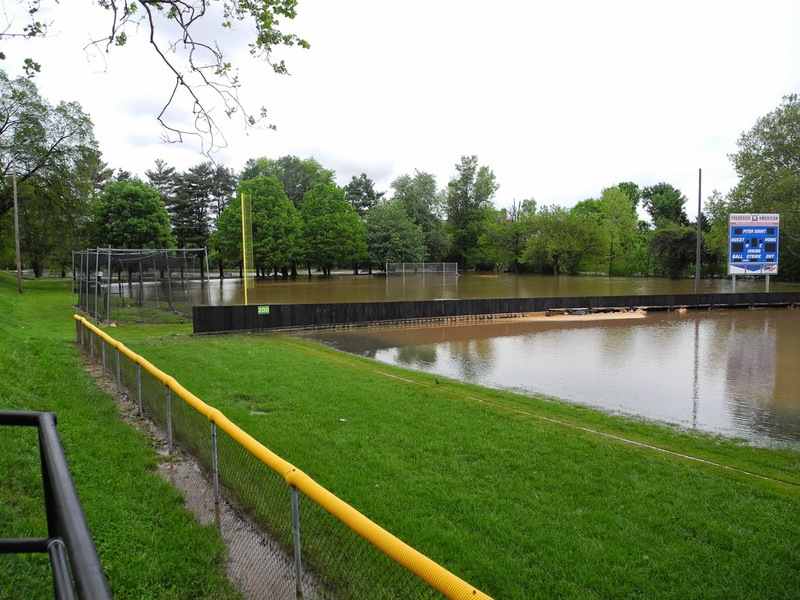 Here is Baker Park hard at work. 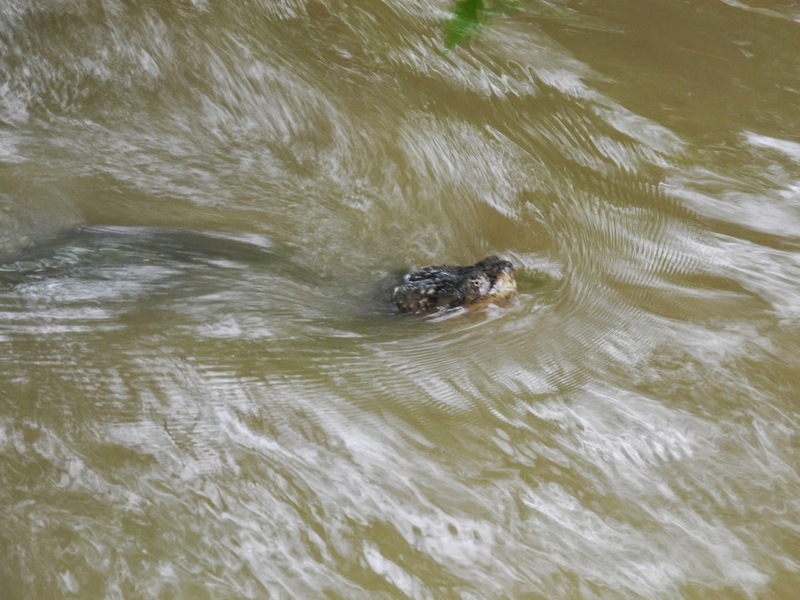 Click on any image to see a larger one. 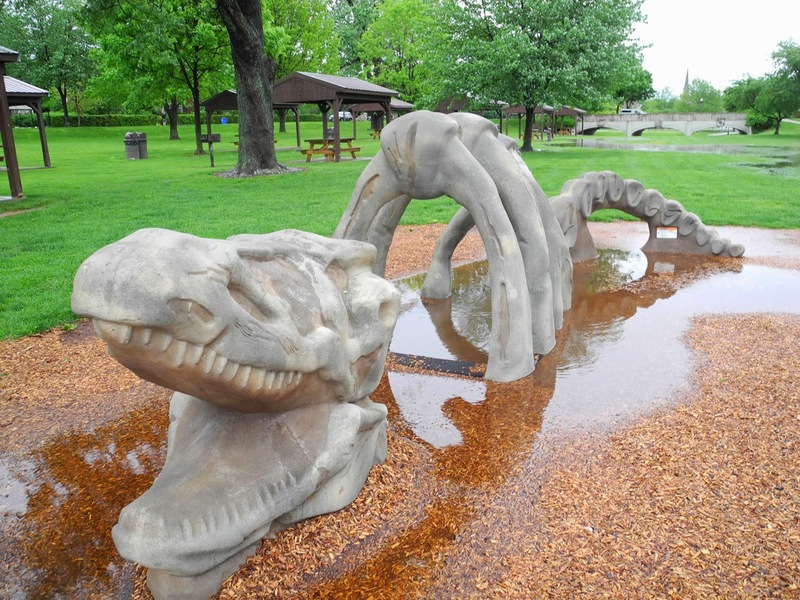 Land dinosaur becomes water creature. 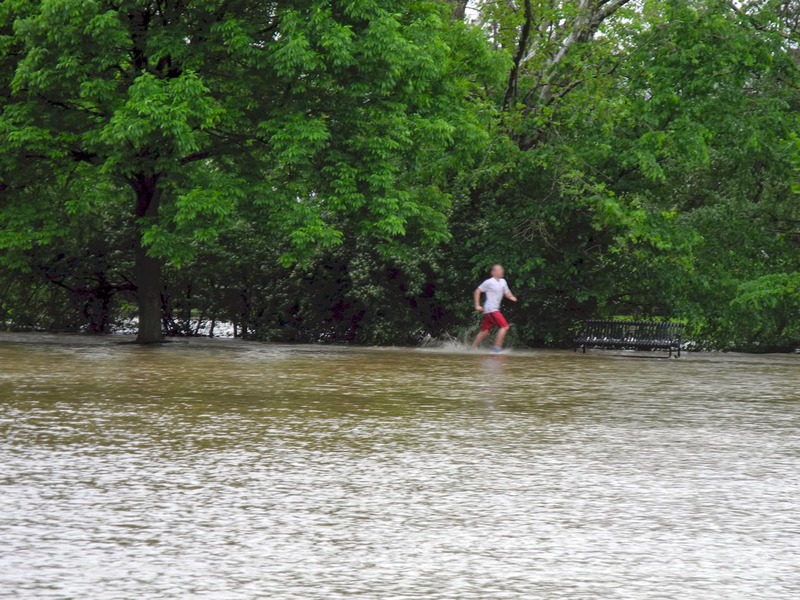 This jogger was like a speedboat moving through the floodwater. 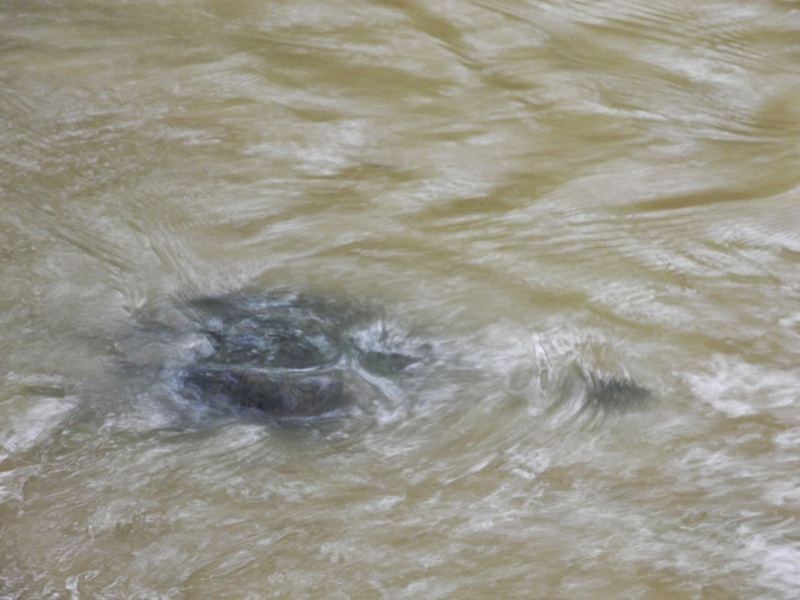 A rock, a grey sweater, a trash bag???? 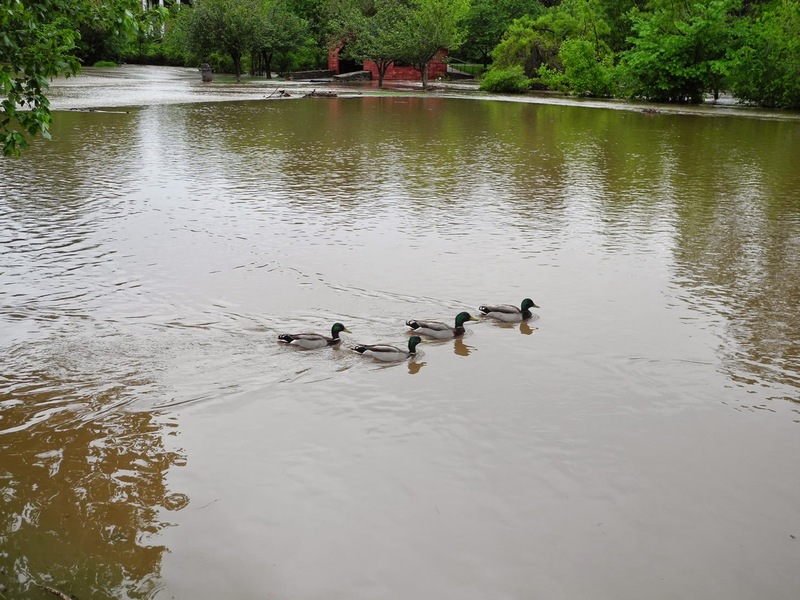 No, it was not one but two turtles enjoying the expanded Baker Park Lake.